Have I mentioned that I read the Soul of the Dragon OGN about Tommy? Yeah, it’s not good. Don’t bother with it. Go Go Power Rangers is still good, though. In flashback, we see that Rita’s mom tried to flee with her from Lord Vile. In the present, Rita defeats her mom’s spirit in magic combat and chains her up. On Earth, Trini is mad at Jason for not having her back in the Alpha-1 argument, and he doesn’t even realize he did anything wrong. So he goes to the guidance counselor for advice on dating, and she advises him to be honest and try to make things right. Jason still struggles, but Trini accepts his obvious apology attempt. Kim (who had a tense encounter with her mom) nearly catches Jason and Trini, but they attempt to cover it up. Then Goldar and some Putties attack, looking for someone “worthy”. Meanwhile, Billy has built his own Blue Triceratops Iron Man armor, but there are still some kinks to work out. Zordon is hesitant to put something so untested in the field, which annoys Zach. Under the guise of helping Billy improve his armor, Alpha-1 starts sowing seeds that Zordon might be too namby pamby to win the war. You’re supposed to be the leader! Anyway, the teenage drama was good enough to carry the issue. Trini and Jason’s argument/makeup is very well-written and enjoyable. I’m quite enjoying that ‘ship and I hope Parrott has the freedom to pull away from the show history in order to make this happen. The Billy and Zach stuff with Alpha-1 is obviously headed in that one certain direction, but Parrott is still getting some good drama out of them. So I’m really enjoying the personal drama between all of the Rangers. Though Kim’s drama with Matt is far far more interesting than her drama with her divorcing parents. And the Matt storyline has been on the back burner for too long. Just sayin’. Also, what kind of schedule do these kids keep? We see Jason and Trini sparring and arguing…then Jason goes to visit the counselor…then we see Kimberly get into an argument with her mom before she leaves for school…then we have Jason and Trini hanging out again, joined by Kim. And this whole time, Billy and Zach are at the Command Center working on stuff. What sort of passage of time are we dealing with here? TL;DR: Quiet, low key issue kept aloft by the great character drama and relationships. 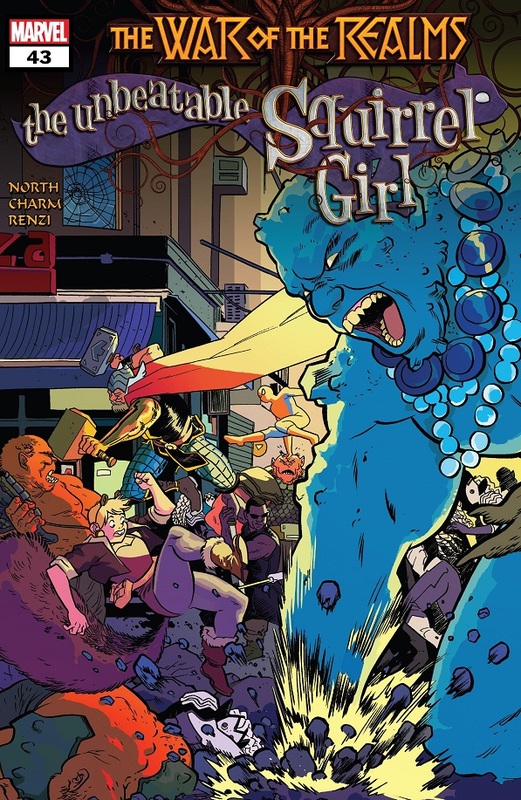 Normally I might skip over an event tie-in, but considering I’m all-in on War of the Realms, and absolutely love Unbeatable Squirrel Girl, I’m giving this story a big ol’ try! 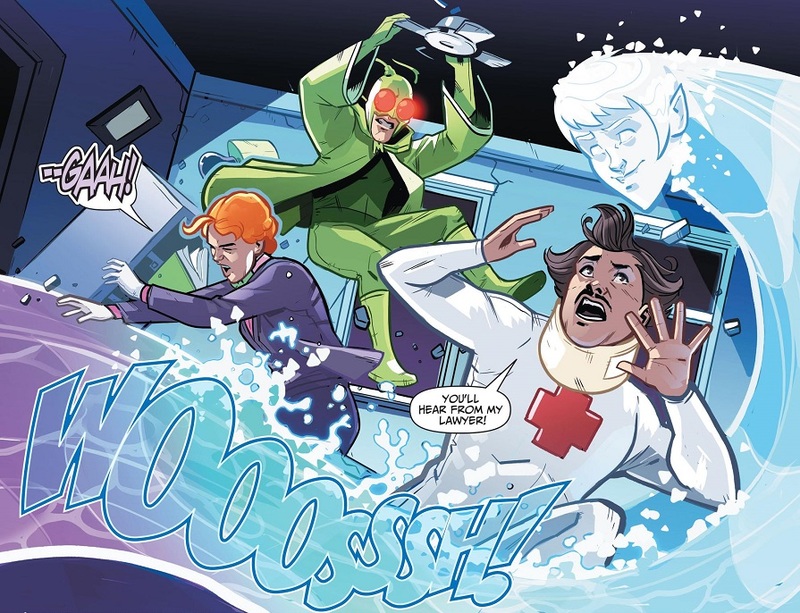 Doreen and her friends go on a vacation to the Negative Zone, but then Doreen is teleported back to New York, right into the middle of the first assault of the War of the Realms! And if you thought Russell Dauterman’s big splash page was impressive, wait until you check out Derek Charm’s! Doreen runs into Loki, who fills her in on what’s happening, while also trying to explain how he’s trying to take down the bad guys from the inside. 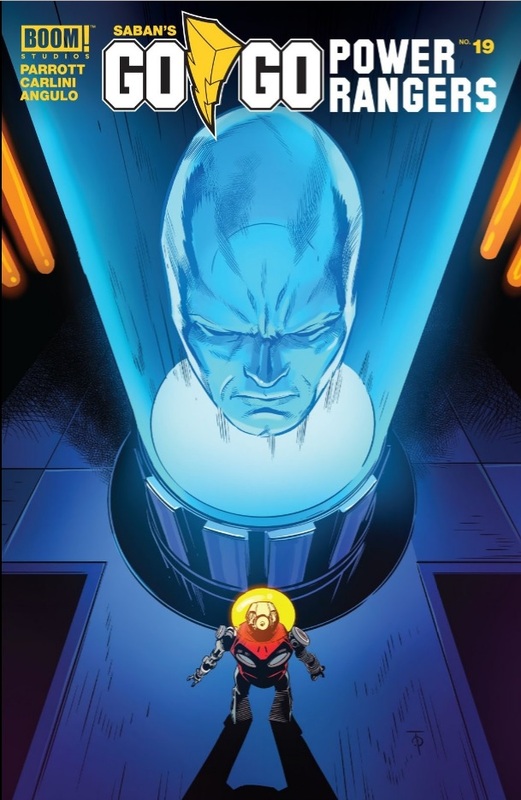 He explains that the invasion is more than just New York (which wasn’t explained in War of the Realms #1, so thank you, Ryan North), and that the frost giants have a secret base set up in northern Canada. He teleports Doreen up north to take care of that base. Doreen arrives at her parents’ house in Canada, chases off some frost giants (with assistance from the Ultron acorn that grew into a full tree in her parents’ backyard), and then gets the new winter suit her mother made for her. Doreen then tracks down the fleeing frost giants, gets into a fight outside their base and then gets ambushed by Norse squirrel god Ratatoskr! 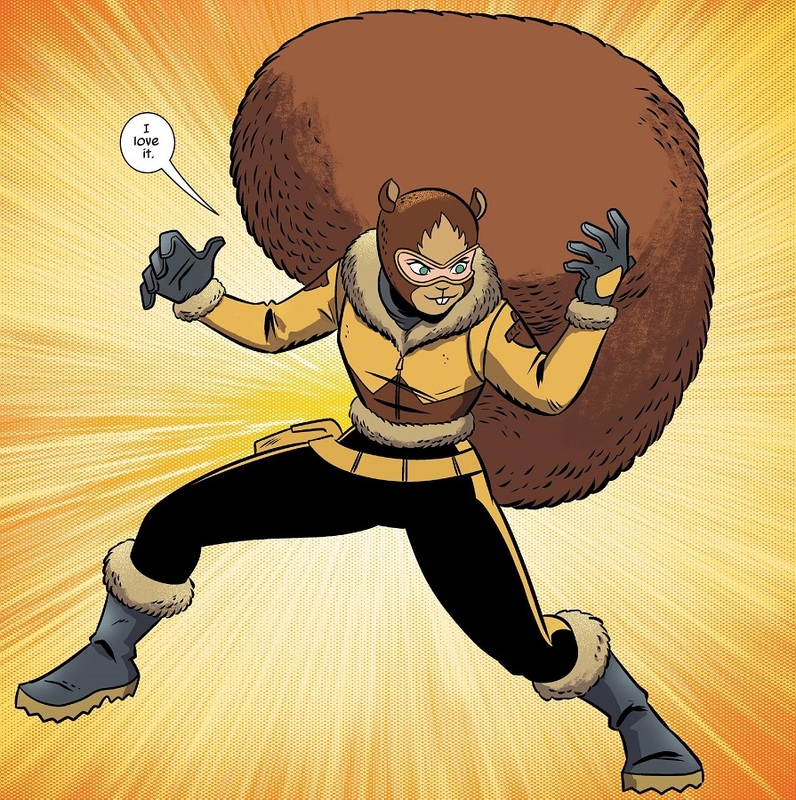 Bringing back Ratatoskr from the very first volume of Unbeatable Squirrel Girl to tie into War of the Realms is a great idea! That alone is reason enough to read this tie-in story, but the rest of the issue is great as well! And so funny! Ryan North’s sharp sense of humor has not dulled in the least. He’s still got it all these 50+ issues later! I’m so glad to see that tying in to someone else’s bigger, crazier story isn’t going to hamper him at all! The middle chunk of this issue does stretch on a bit too long with just Loki and Doreen chatting in an alley, but I suppose North had a lot of material to cover. And he peppers the chat with both strong character bits and some funny interruptions, along with funny background gags. So it’s not totally dragging to get through. Then when the rest of the issue kicks off, all is forgiven. Doreen and her parents are always fun, and her new costume is radical! I’m excited to see Doreen take on the new dangers. And like I said above, using this as the moment to finally bring back Ratatoskr is great! Seeing as how Ratatoskr is totally real in the mythology, using them as a Squirrel Girl villain is pure genius! So I’m excited to see what part Ratatoskr has to play in the War of the Realms! Also, fun fact, Ratatoskr appeared in last year’s God of War video game. Clearly this is Ratatoskr’s moment in the limelight. TL;DR: Hilarious and full of action and excitement, Squirrel Girl dives head-long into War of the Realms. Surely this is going to be the best of all the tie-ins! It needs to be noted that it’s entirely possible to both love something and critique it for its perceived faults. I love Unstoppable Wasp, but I feel that, in some ways, it’s not living up to its potential. 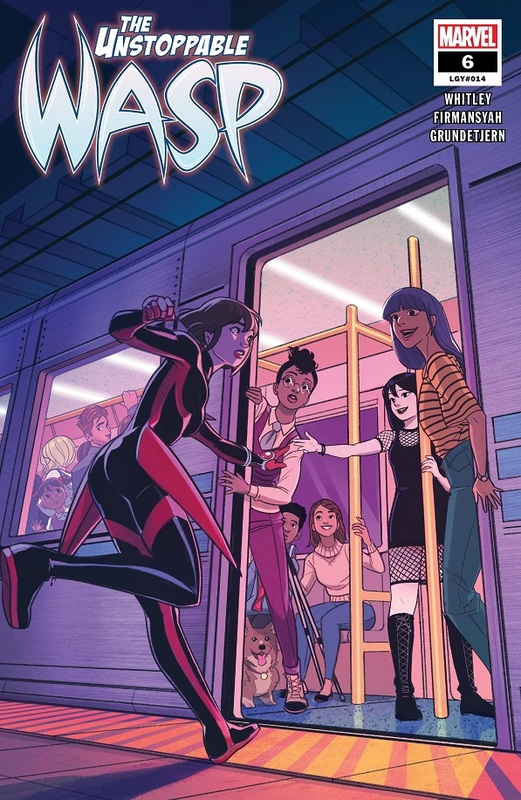 Also, the first volume of Unstoppable Wasp is available in a single tpb now! I snatched that up right quick. Taina is the last holdout of people still super mad at Nadia for trying to “fix” her, so Nadia goes to her apartment and explains the bi-polar diagnosis and Taina immediately relents. Nadia has been going to therapy with Janet to better understand her new condition, and the therapist suggests Nadia do some youthful and teenage things to try and develop a life/hobbies outside of all the science and engineering. So they’re throwing Nadia a birthday party. Nadia and Taina then rush over to help Priya, who has discovered that she now has planet-control powers after she was knocked out in her lab, where she was conducting plant-based experiments. Meanwhile, Shay has built a portal from New York to Los Angeles, and she’s using it to introduce Ying to her mother over lunch. Shay’s mother is a soap opera actress, and Shay hasn’t seen her in years. The mother turns out to be rude and judgmental, especially when Shay comes out to her mother. Shay runs off crying and Ying gives the mom a stern dressing down. Ying then comforts Shay and they teleport home, confident that they’re good just how they are and don’t need to get all fancy to impress anybody. 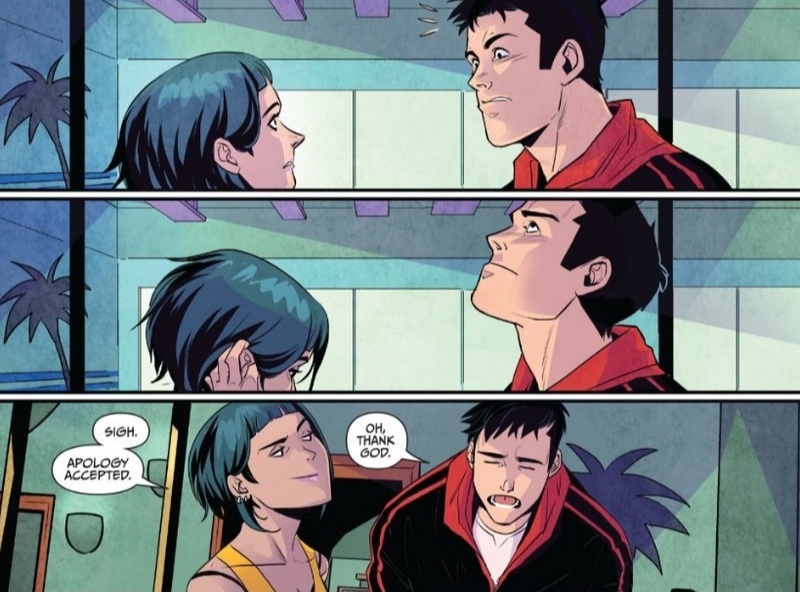 Unstoppable Wasp can’t help being delightful. After the hugely impactful bi-polar two-parter, Whitley seems to be returning to the more carefree and friendly Wasp comic from before. Characters are friendly and loving and get nice victory moments. Everybody loves everybody else and have a great time together. There are nice bits of super-powers and technology and craziness mixed in, like when Shay and Ying keep explaining to Shay’s mom that Ying is a “trained assassin”, as if that were a totally normal thing to explain about your teenage girlfriend. This remains a very enjoyable comic. If I’m being 100% honest, I’m a little disappointed in how friendly and light-hearted the issue is. I had hoped that the bi-polar revelation was going to be a turning point for the Unstoppable Wasp. Not that I want Whitley to exploit Nadia’s condition, but I’m confident he’s a good enough writer to walk the line of using it to create more serious stakes and drama for the comic. We saw it in the previous two issues, and I had hoped that tension would continue once we were past the moment in question. Instead, Whitley uses this issue to smooth everything over with everybody and go back to the weightless cheerfulness from the start of the relaunch. I don’t even remember Taina being mad at Nadia, but that’s solved immediately. There’s no sense of any better friendship between Nadia and Priya, despite what they went through in the previous issue (though I’m holding out hope that Whitley is purposefully downplaying the idea that Priya might still be a plant by the villains (pun very much intended!)). And the Shay/Ying scene is just so straight-forward and obvious. I almost feel like this is my privilege showing. 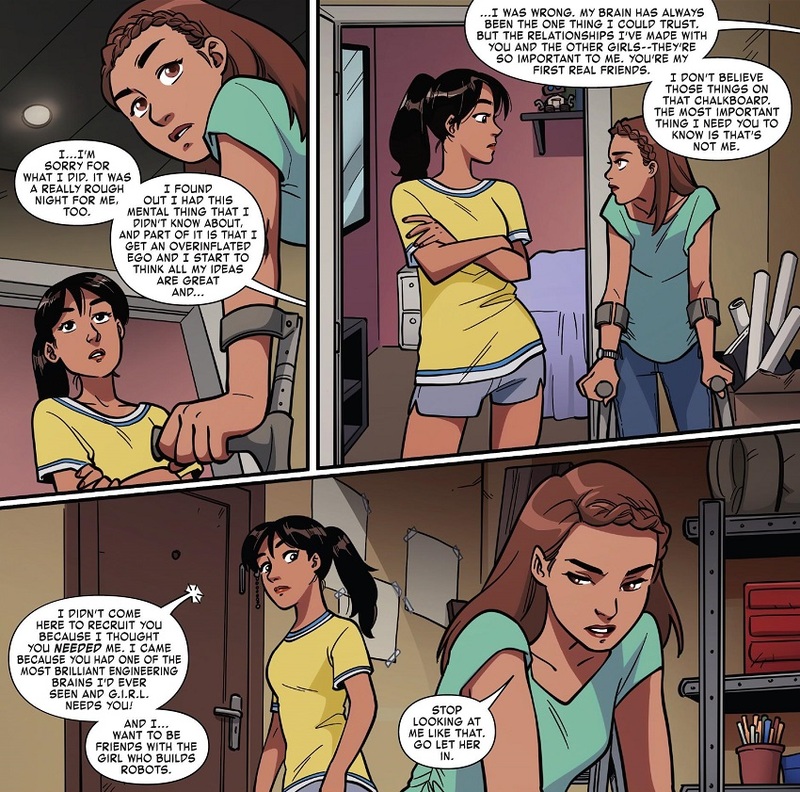 That I’m not fully appreciating how important it is to have a scene where two women of color so firmly re-affirm their lesbian relationship in a comic from one of the Big Two publishers. I just feel like we can have this type of scene while also giving it that extra flourish of creative drama. Instead, Shay’s mom is essentially a caricature, and when Ying stands up to her, she’s delivers a perfectly worded rebuke. Everything is hunky-dory. I would just like to see a bit more messiness, a bit more drama, to these otherwise wonderful character stories. You’ve got a very nice comic with very nice characters, just go that one step further to add some drama and conflict and you’ll have something truly great. You did it before, and that issue is on my short-list for best comic of the entire year. TL;DR: A fun and wonderful character-based issue is a little too soft and cheerful. I would have rather seen Jeremy Whitley keep the stakes and tension a little sharper than what we get. Wonder Twins is the comic I have been waiting my whole life to read. Jayna is really bothered by the horrors of the world, and Superman tries to reassure her that the real super-power is not going crazy in the face of all the meanness and horror out there. Jayna also makes a new friend at school, whose father tries to quit Lexcorp but ends up having to fill in with the League of Annoyance because he still owes Lex. The father provides some power-dampening plastic bags to the League when they sneak into the home of the Wonder Twins to kidnap them. The Twins put up a darn good fight, but a comedy of errors ends up with them captured, with the bad guys about to thrown them in a giant shredder! Fortunately, it’s Gleek the monkey to the rescue! We find out through terrifying flashbacks that Gleek was an abused circus monkey who managed to get away from his cruel trainer, and then Zan ordered him through the mail. It’s those same circus skills that allow Gleek to free the Twins and save the day! And Jayna resolves that doing a little good in the world is good enough. I cannot heap enough praise on Wonder Twins! Each issue is pure gold in terms of humor, heart, cleverness and gorgeous art! Each issue is just so darn funny. And it perfectly aligns with my sense of humor, with funny asides and subtle one-liners. Russell writes an especially fun Superman. And the Legion of Annoyance is great for the laughs, whether it’s the Malingerer and his constant medical concerns or the team talking about how they don’t have it in the budget for the Scrambler to take over the President of the United States. It’s damn funny! And clever, too, from the way the comedy of errors fight played out, to the ways Russell ties his story threads together; he’s crafting careful scripts here, each one paying off in so many fun and easy ways. Turning into water is a good power! The heart is everywhere in this comic, from the joy of Zan buying and having a pet monkey, to the warmth between the siblings to just Superman acting like a really supportive mentor figure. These are characters that care about one another and work together well, and it informs and enhances their dialogue. That’s damn good writing. And the artwork is beyond gorgeous. What else has Stephen Byrne done for major comics, because I don’t recall anything this beautiful elsewhere? Everything is both soft and detailed, with a smoothness that I really like. And the colors are eye-poppingly catchy. Everything about the construction of Wonder Twins is perfect. TL;DR: Wonder Twins just keeps getting better and better. Writing, art, story and characters come together to make a wonderful, hilarious comic! I think X-23 and I have reached a point where I’m just not going to care much for the comic. And I don’t know what the issue is. The writing is solid, the art is good; I don’t know why I’m not loving this comic more. X-23 and Gabby are continuing their assault on illegal cloning labs, but something is bothering Gabby, and Laura can tell. At their latest one, they both smell something in the air, but a fleet of trucks is able to escape without them catching up. Laura confronts Gabby at home about her reckless and sullen behavior lately, and they get into an argument about how Laura wants to end all illegal cloning operations, whereas Gabby and the X-Assassin from the previous issues (who heroically sacrificed herself in the end) were both from such an illegal cloning operation, and Gabby doesn’t want to end so much potential life. In the end, Gabby leaves home and Laura is upset that she’s not better at interpersonal communication. This is a solid, perfectly fine comic book with good character drama and adequate action. If I can hazard a guess, I think my problem with this comic is that I find it kind of lifeless. And that’s not fair, because Tamaki and Olortegui are really trying. There are bits of humor here and there, and the drama between the two main characters is solid. It just feels flat to me. I think the problem is X-23 herself, and she expresses the exact problem in this issue. She’s not good with emotions and interpersonal communication. X-23 is a stoic, driven person and that just isn’t making for an entertaining protagonist. Giving her Gabby as a sidekick was a great touch, and they’re a fun team, but now Gabby is also somber and angry. And while the drama would normally be very important, it’s just not connecting for me. I’m also on Laura’s side with this one. I agree that clones are their own people and shouldn’t just be wiped out, but when do you stop with the clones in the story? It’s just gonna be clones, clones, clones all the way down! 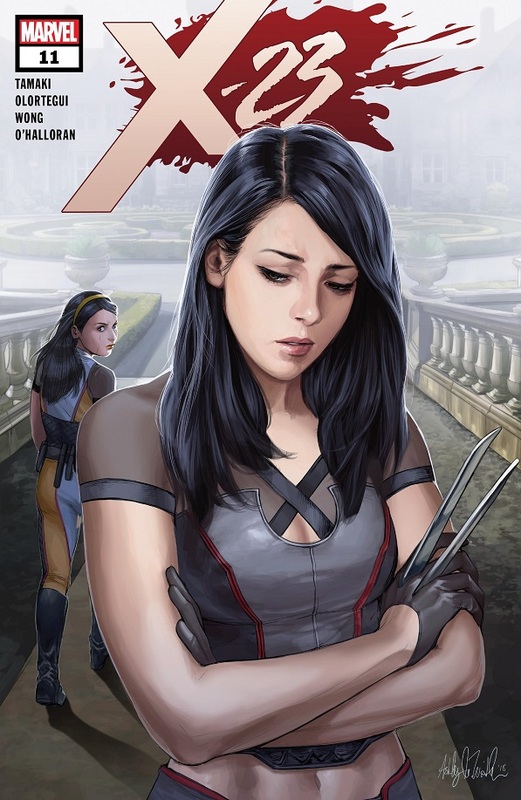 TL;DR: X-23 has all of the elements to make a good drama, but there’s just something lifeless about the execution. 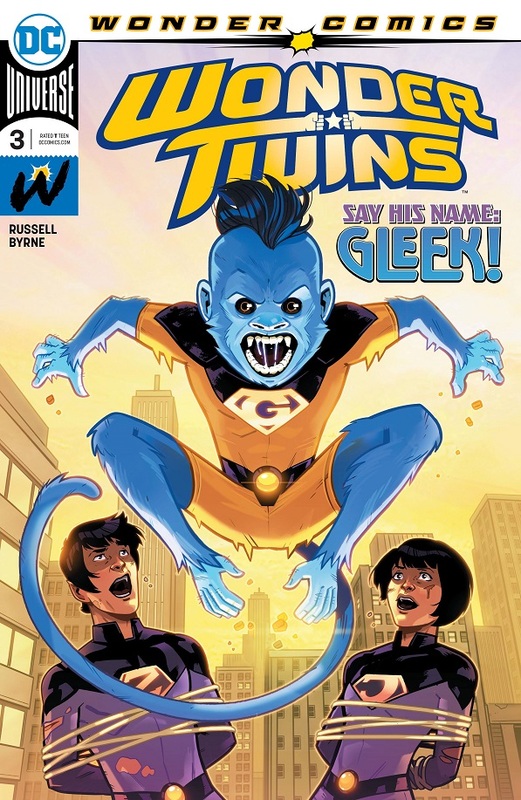 Posted on April 13, 2019, in Comics, DC, Marvel, Reviews, X-Men and tagged Boom!, Go Go Power Rangers, Honey Badger, Power Rangers, Squirrel Girl, Unbeatable Squirrel Girl, Unstoppable Wasp, Wasp, Wonder Twins, X-23. Bookmark the permalink. 4 Comments. There’s been some shaky continuity in this X-23 volume, as well. Tamaki once again credits Laura’s creation to Alchemax; the Facility was a completely separate entity, even IF you allow for Chandler having been on the project. Alchemax created Gabby, NOT Laura. Unfortunately this is merely a symptom of the larger failure by Editorial to maintain continuity in the current age, as that is the sort of error that 10 years ago Editorial WOULD have caught and corrected. 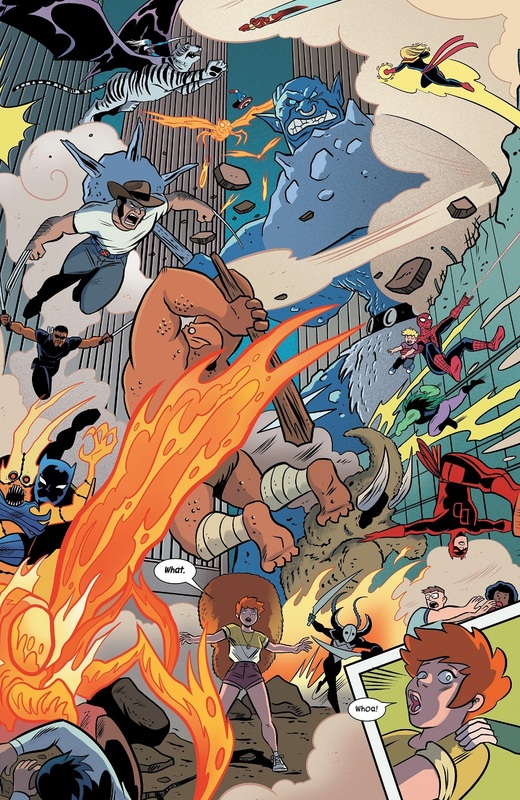 Squirrel Girl is so much fun. And I love her new winter costume! So good! Wasp is great. Lots of sweet stuff, some really heartwrenching stuff, and Taina is hilariously trolly. X-23 is sad, but sets up what could be good developments for both characters. Especially Gabby, who deserves a chance to shine on her own. 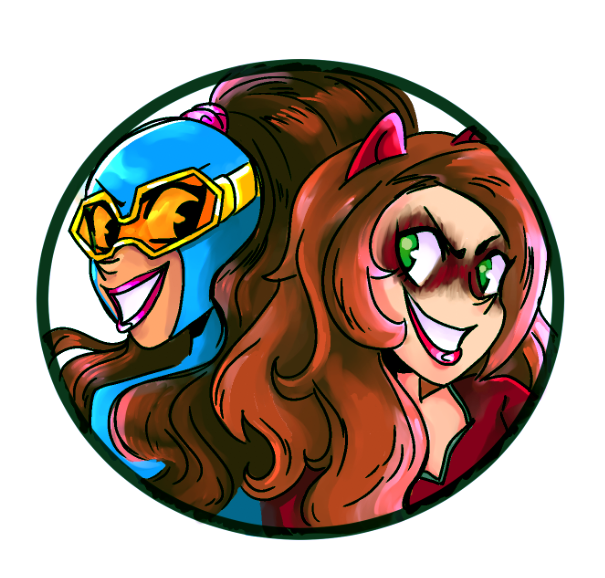 I’d love for Vita Ayala to get a team title with Gabby as a member, given how well they handle the character in Age of X-Man: Prisoner X.
I would also like to see Gabby branch out on her own somehow. The only thing that interests me about the return of the real Wolverine is seeing him meet Gabby.